The first true three-dimensional picture of submarine canyon habitats has been produced using a combination of marine robotics and ship-based measurements. The information captured in this new set of maps ranges in scale from the 200km canyon down to the size of an individual cold-water coral polyp, and will be used to inform the management of the only English Marine Conservation Zone in deep water. 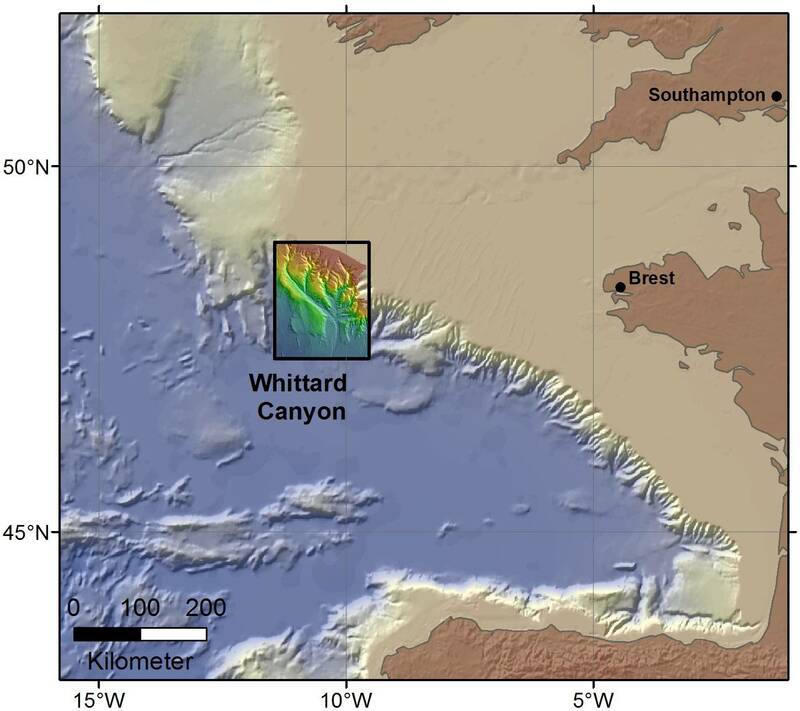 This ‘nested map’ is the result of a recent scientific expedition to the Whittard Canyon in the Bay of Biscay, led by the National Oceanography Centre (NOC). It works in a way not unlike a set of Russian dolls, with the most detailed map sitting within a larger scale one, which sits within a larger map still. Submarine canyons are some of the most complex deep-sea environments on this planet, and are known to be potential biodiversity hotspots. Similar to canyons on land, submarine canyons can have steep flanks, with vertical cliffs and overhanging rock formations. Until recently these parts were out of reach for traditional types of marine equipment, which made them the 'forgotten habitats' of the deep sea. By using unique robot technology to collect data in these ‘hard-to-reach’ areas, the results of this expedition will lead to a better understanding of the biodiversity patterns in the canyon and of the processes that drive them. 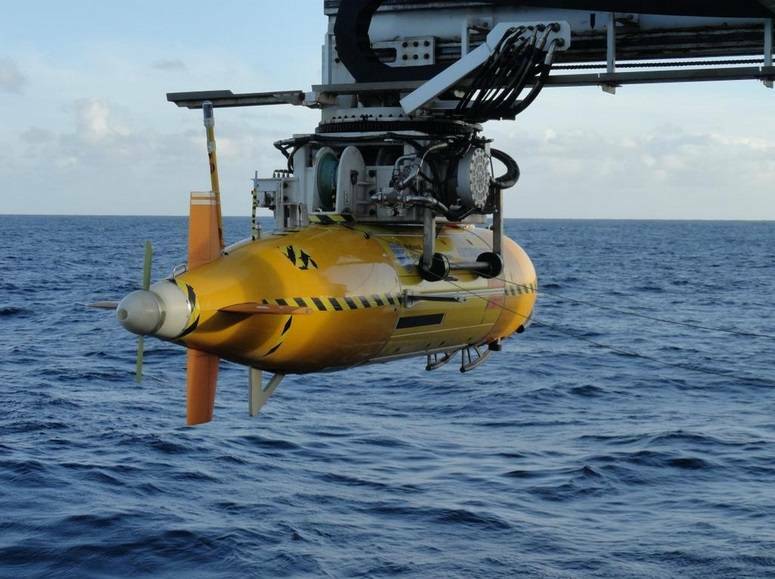 Dr. Veerle Huvenne from the NOC, who led the five-week expedition, said, "Our robot vehicles imaged rich communities of cold-water corals, clams, deep-sea oysters and their associated fauna, including a broad range of fish species. We also captured amazing footage of Blue Sharks and Swordfish when the Isis marine robot was travelling to and from the seabed. The morphology of this canyon is spectacular. We have mapped cliffs up to 150m high and 1.6km long, in some locations down to centimeter-scale resolution. This makes us the only group in the world who currently can image vertical cliffs in the deep sea in this way. " The expedition was part of the CODEMAP project, funded by the European Research Council, and received additional support from the NERC MAREMAP program and DEFRA. Participants included researchers from NOC, University of East Anglia, University of Southampton, CEFAS, the British Geological Survey, IFREMER, National University of Ireland, Galway, and University of Aveiro.